Is your sales team complaining about the number of quality leads that marketing is sending? Do you not have a process in place to measure your lead quality, or is your current model not giving you the results you are looking for? 4Thought Marketing has years of experience implementing best-in-class Lead Scoring models. 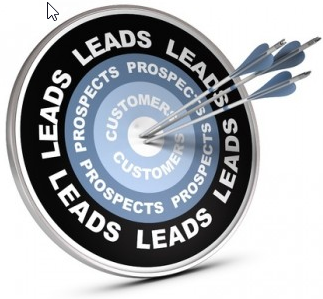 Lead scoring is the mechanism that ranks leads based on their value to determine when they are ready for sales hand-off. Marketing and sales agree upon the level of interest, attributes, targets, SLAs and dispositioning required to build the ideal lead profile, and in turn have the base for your lead scoring strategy. It is also the mechanism that moves leads through the top of the funnel, acting as the trigger for placing leads into the right nurture at the right time. Building a comprehensive lead scoring model is complex, and there are many factors to consider when determining how to make the data work for you in a meaningful way. 4Thought Marketing experts take a multi-factor approach, finding the right balance of behavior needed to create a quality lead and increase conversion rates. If this is your first time lead scoring, you need to make sure the data makes it over to your CRM. This could be as simple as adding a field to pass the score into your CRM, or it may involve changing your model. Our experts determine your CRM needs during your lead scoring evaluation. Increase your conversion rate, improve your ROI, and most of all, stop worrying about sales complaining about junky leads. The 4Thought Advanced Lead Scoring model will ensure that you get the results you are looking for.